One of the most famous photographs of Julius Shulman is of the case study house # 22. Built in Hollywood Hills, it is also called Stahl House (1960) designed by architect Pierre koenig. Spectacle piece that can never be forgotten at first sight. This piece was distributed around the world. And was regarded as the icon of modernism architecture. A living room of glass is protrude above the cliff in a night view. Women are chatting gracefully above cliffs. Underneath the floor there are cliff and darkness like abyss is spreading . The living space floating in the dark, full of light is every corner of the room, seems to indicate the privilege of California’s life. 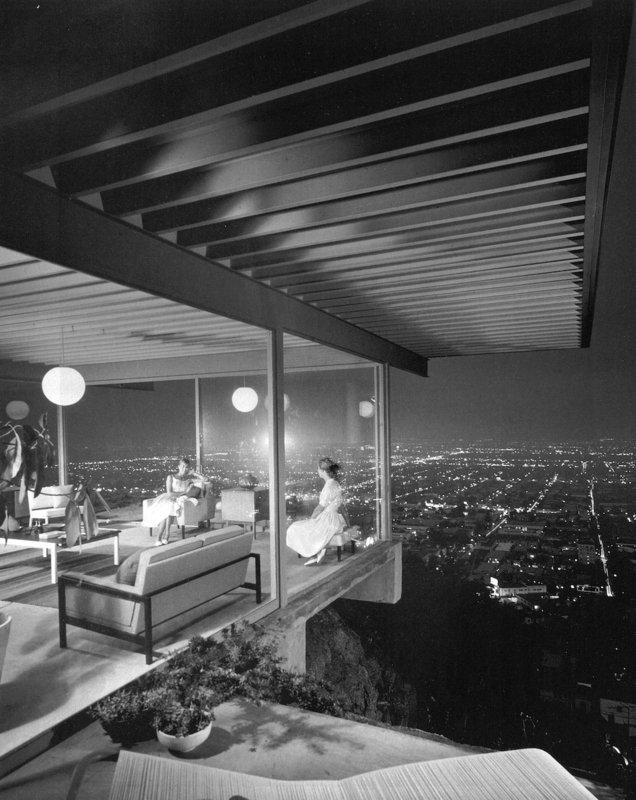 Flat roof which covers the the night view of Hollywood and this picture declares a victory of mid century modern design. The Case Study House was an experimental attempt by Modern Design House, who appointed various architects by “Arts & Architecture” magazine presided over by John Enzenza. The modern image is mediated by the magazine, California design as a symbol of America’s richness is transmitted all over the world by the combination of critic Esther McCoy and architect photographer Julius Shulman. Anecdotes that the cutouts of “Arts & architecture” were always pinned in front of the designer’s desk of the London design office in the 50’s tell the magnitude of its influence. 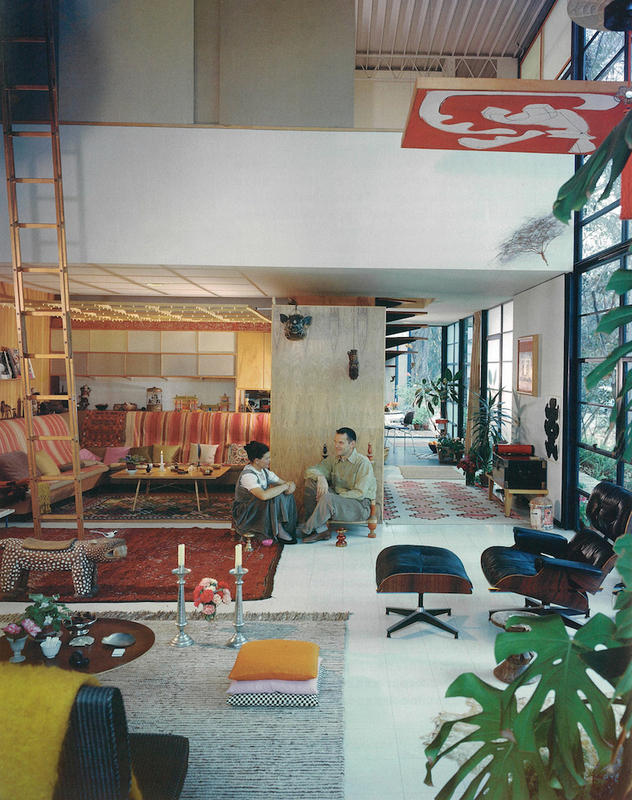 One piece that caught the Eames couple relaxing at home is the photograph that captures the personality of the case study house # 8 (Eames residence 1949) and the Eames and his designs. Kaufmann ‘s house by Richard Neutra (1947) in twilight is filled with the fantasy. It is blamed for obscuring the reality by its dramatic lighting in desert. It is said that Shulman spend 45 minutes to take this photo. Changed the exposure time for the building, the pool and the background. Julius Shulman was born in Brooklyn in 1910, moved to Los Angeles, photographs of works of Richard Neutra which just happened to take, was favored by Neutra, And got the chance to enter the world of architectural photography. 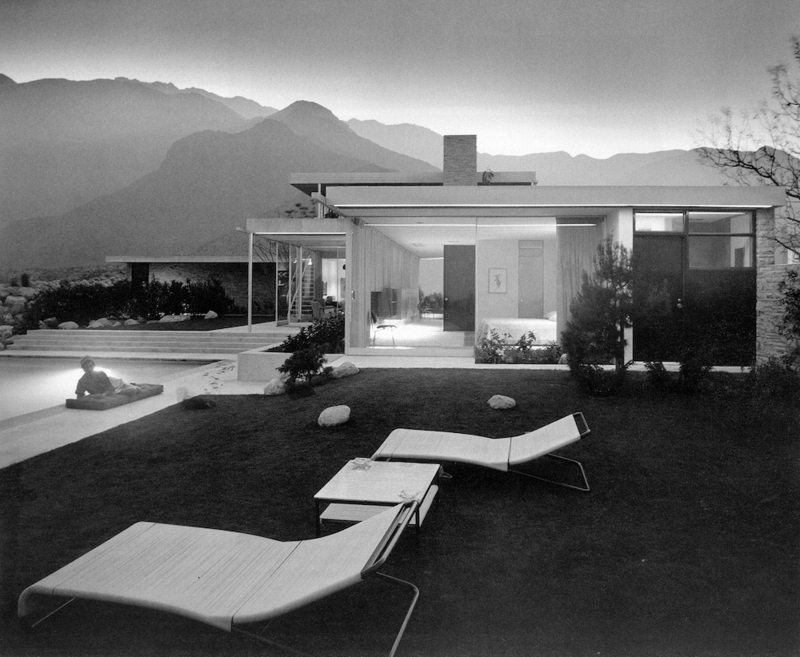 Julius Shulman carefully chose furniture and accessories for photography. As well as angles, fascinating lighting, arranging people in the photography. However regards to case study house # 22 photo, Shulman said it was a wonderful sight happening outside so rush the camera to the pool and took. Case study house # 22 photograph is symbolized the bright future by technology and optimism of the era. Production stimulates consumption, consumption leads production. In the United States after the Second World War, the media that promotes consumption was a scout of economic development. Architectural photography as a medium became a key player in image strategy. The photograph of Julius Shulman who was familiar with the function of photos as media, the wealth of America and the symbolic California design spread all over the world including East coast, Europe and Japan. This image strategy went beyond the intention of the industry, and will played a important political role for the Cold War propaganda. 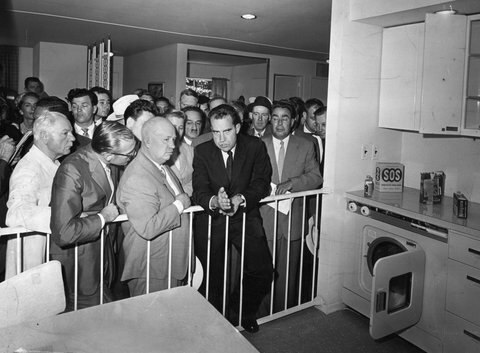 Vice President Richard Nixon told the First Communist Party Secretary Nikita Khrushchev of the Soviet Union at the kitchen exhibition hall of the American Expo held in the Soviet Union in 1959, “This is a kitchen that is in a Californian house” Talking about the controversy boasting of the richness of American life is also famous as “kitchen debate”. Publicity of ‘rich America’ was successful and eventually led the collapse of the communist regime. Such a US strategy also begins to disappear from the late sixties. The prolonged Vietnam War makes America worse and the confidence of the American way of life begins to shake. Cold war structure, industrialized society, racial discipline, etc., which the confidence hidden by optimism that believes in the future such as race issue are revealed. In the architectural world, the modernism which became teaching and ran into uniformity and efficiency was criticized, and the era of postmodernism is welcomed. Architecture is restorative, decorative and becoming compliant. Juluas Shulman, who dislikes post-modern architecture, declined to retire in the late 1980s. It was Shulman’s way of handling. 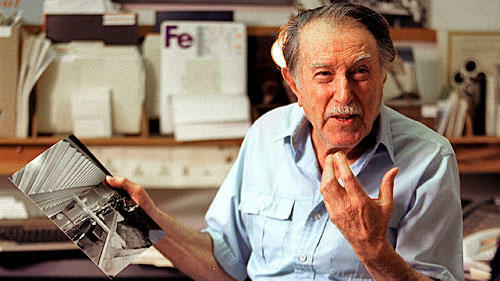 Shulman believed the ideals of modernism. In the 1990s when the post-modern storm ceased, California design at that time was reevaluated as a mid-century design and established as a style of modern design that felt affinity with humanity and nature. In 2001, Julius Shulman at 91 years old, he returned to architectural photograph industry with a young photographer as a partner. After that, until the death of 98 years old, He chased Frank O. Gary and other modernism architect of the era.